Oscar Jaffe is a domineering Broadway producer whose recent theatrical projects have failed miserably, sending him bankrupt. 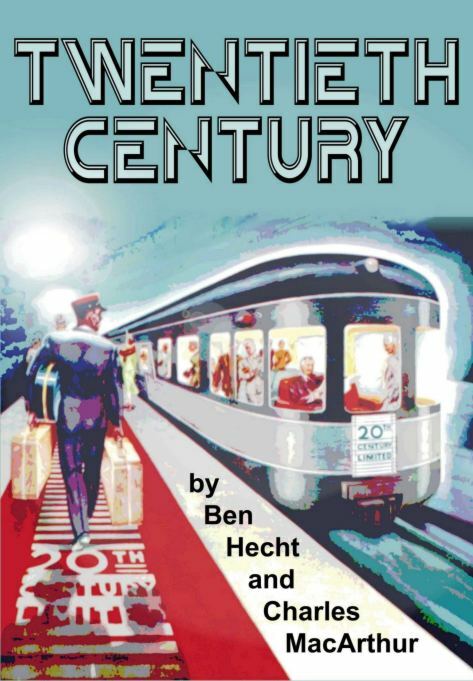 He is on the Twentieth Century – a train that goes between Chicago and New York. As luck would have it, also on board is Lily Garland, the chorus girl he transformed from a nobody into a Broadway star and who ran away to Hollywood where she became a movie star. If he can persuade her to do his next show he will be back on top. As Oscar tries to talk Lily into playing Mary Magdalene in his new theatrical project, pandemonium ensues among the trainload of eccentric characters.